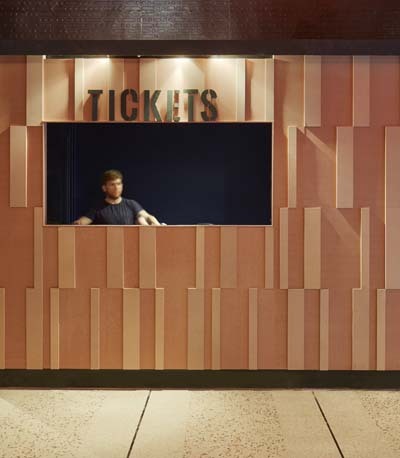 As part of the Big Issue Foundation’s annual fundraising event RYE were commissioned to redesign the foyer and entrance of the Coronet Theatre in south London. 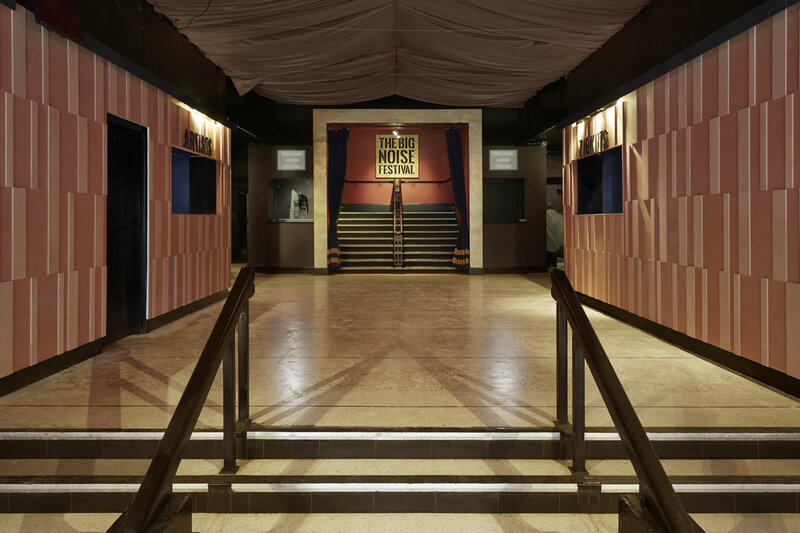 The new design contributed to the venue’s ongoing refurbishment and featured signage, artwork, and intricate timber wall panelling which drew inspiration from some of the areas experimental brutalist architecture including Erno Goldfinger’s Coronet Cinema. 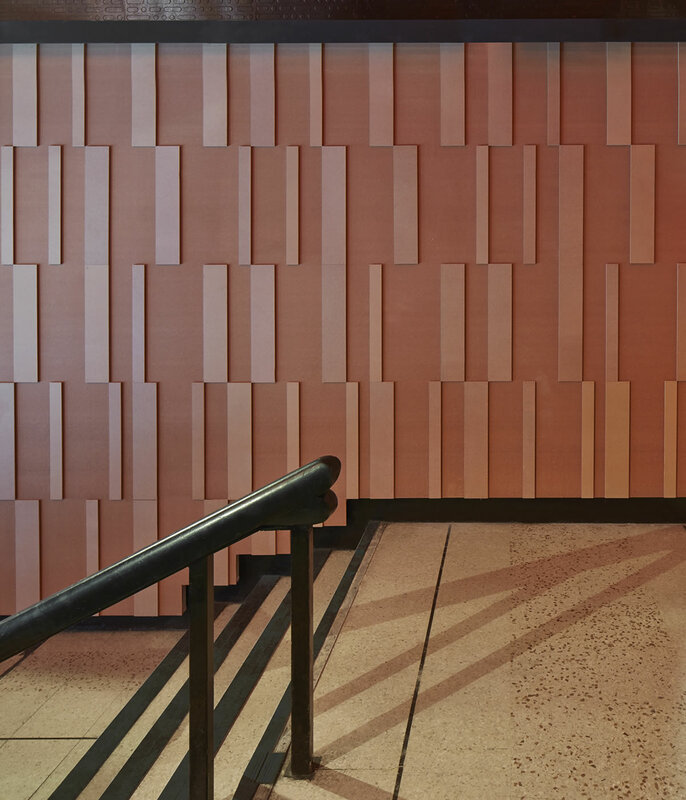 The refurbished foyer and entrance were launched during the London Design Festival 2015 alongside photographs of Goldfinger’s cinema which would have stood opposite the theatre had it survived demolition. 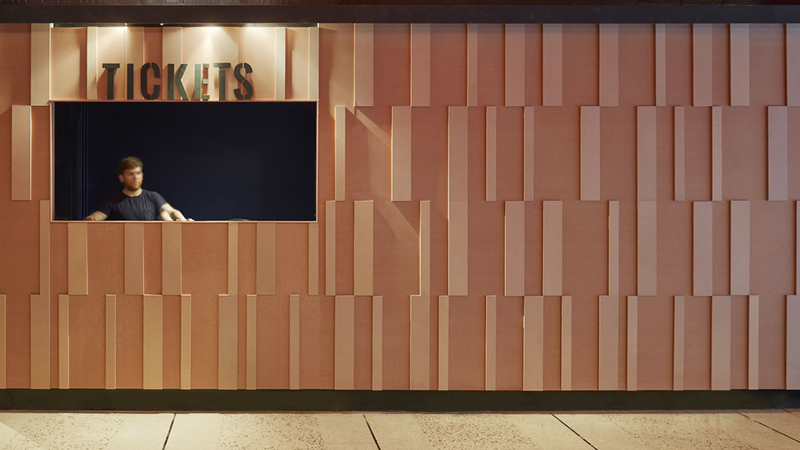 Assisted by fabrication and joinery specialist Put Together, RYE developed a wall panelling system which could be installed over an 8 hour period allowing the venue to remain in operation during the works.